One of the most influential organizations in the history of American social welfare was the “settlement house.” The establishment and expansion of social settlements and neighborhood houses in the United States corresponded closely with the Progressive Era, the struggle for woman suffrage, the absorption of millions of new immigrants into American society and the development of professional social work. Settlements were organized initially to be “friendly and open households,” a place where members of the privileged class could live and work as pioneers or “settlers” in poor areas of a city where social and environmental problems were great. Settlements had no set program or method of work. The idea was that university students and others would make a commitment to “reside” in the settlement house in order to “know intimately” their neighbors. The primary goal for many of the early settlement residents was to conduct sociological observation and research. For others it was the opportunity to share their education and/or Christian values as a means of helping the poor and disinherited to overcome their personal handicaps. What actually happened was that residents of settlements learned as much or more from their neighbors than they taught them. The “settlers” found themselves designing and organizing activities to meet the needs of the residents of the neighborhoods in which they were living. While trying to help and uplift their neighbors — organizing classes, clubs, games and other educational and social activities — settlement house residents and volunteers experienced first hand the powerlessness of the poor, the pervasive abuse of immigrants, the terrible conditions in which men, women and children were required to work in factories and sweatshops, the failure of public officials to enforce laws, the dangers of unsanitary conditions and the debilitating effects of tuberculosis and other diseases. Settlement house residents soon learned that the low standards of living and unsafe working conditions that were the usual lot of poor people in the neighborhoods were most often not the result of choice but of necessity. Robert A. Woods established Andover House in Boston (the name was later changed to South End House. The settlement idea spread rapidly in the United States. By 1897 there were seventy-four settlements, over a hundred in 1900, and by 1910 there were more than four hundred in operation. Most settlements were located in large cities (40 percent in Boston, Chicago, and New York), but many small cities and rural communities boasted at least one settlement house. In the early years settlements and neighborhood houses were financed entirely by donations; and the residents usually paid for their own room and board. The American settlement movement diverged from the English model in several ways. More women became leaders in the American movement; and there was a greater interest in social research and reform. But probably the biggest difference was that American settlements were located in overcrowded slum neighborhoods filled with recent immigrants. Working with the inhabitants of these neighborhoods, settlement workers became caught up in searching for ways to ease their neighbor’s adjustment and integration into a new society. Settlement house residents often acted as advocates on behalf of immigrants and their neighborhoods; and, in various areas, they organized English classes and immigrant protective associations, established “penny banks” and sponsored festivals and pageants designed to value and preserve the heritage of immigrants. It is important to note that settlements helped create and foster many new organizations and social welfare programs, some of which continue to the present time. Settlements were action oriented and new programs and services were added as needs were discovered; settlement workers tried to find, not be, the solution for social and environmental deficits affecting their neighbors. In the process, some settlements became engaged in issues such as housing reform, factory safety, labor organizing, protecting children, opening health clinics, legal aid programs, consumer protection, milk pasteurization initiatives and well-baby clinics. Others created parks and playgrounds or emphasized the arts by establishing theaters and classes for the fine arts and music education. 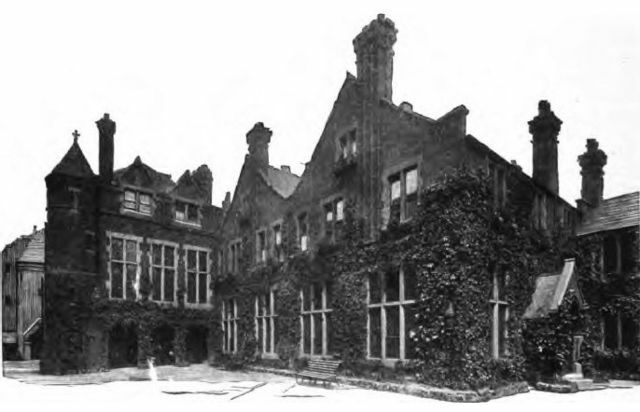 A number of settlement leaders and residents conducted research, prepared statistical studies, wrote reports or described their personal experiences in memoirs (e.g., Hull-House Maps and Papers, Robert Woods’s City Wilderness, Jane Addams’s Twenty Years at Hull-House, and Lillian Wald’s House on Henry Street). Early settlement house residents did not escape the prejudice nor completely overcome the ethnic stereotypes common to their generation and social class; they tried consciously to teach middle-class values, often betraying a paternalistic attitude toward the poor. On the other hand, and this was typical of progressives, most settlements were segregated. Although Hull-House and other settlements helped establish separate institutions for Black neighborhoods, pioneered in studying Black urban communities, and helped organize the National Association for the Advancement of Colored People, Blacks were not welcome at the major settlements. A distinctive feature of the early years of the settlement movement was “residency.” By design, staff and volunteers lived communally in the same house or building, sharing meals and facilities, working together and spending some or all of their leisure time together. This arrangement fostered an exciting environment in which university-educated and socially motivated men and women enjoyed the opportunity to share their knowledge, life experiences, ideas and plans for the future. Working and living together, even for short periods, the residents of a settlement house bonded around specific projects, collaborated on social issues, formed close friendships and experienced lasting impressions they carried with them for a lifetime. Settlement Houses are needed now more than ever!! It is so sad to see them closing their doors. Power to the people! how did the social settlement movement help progressive reforms? 1. Identify a group of people who lived in the settlement houses. 2. Name two groups serviced by the settlement houses. thank you for this contribution as your article carries a spirit of this movement which is sometimes hard to place in words and often gets lost in translation when transferred into historical scholarship. I am teaching a social work practice with groups class and was wondering if you can direct me to resource with specific examples of group activities (i.e. social/fun/recreational) that I could use to, in addition to providing theory and historical overview, demonstrate and engage my class into a type of activity such as the ones you describe in your article….? Dear Dunja: Sorry for the delay in responding to your request. It would take more time than I have to give to fully answer your question; however, I have several resources for you to consider. 1) Read the entry under SOCIAL WORK titled: “More Than Sixty Years with Social Group Work” by Katy Papell who died just recently. 2)Another entry to read is listed with the tab for Settlements. It is “The Position of United Neighborhood Houses on Issues.” 3) Google “National Association of Settlements and Neighborhood Centers.” 4) Read the entry titled “Phillip Schiff Presentation” under the tab for Settlements. 5) Google: “United Neighborhood Centers of America.” 6) If your students are required to do field work direct them to engage in organizations dealing with current social problems, e.g., homelessness, food banks, teen pregnancy, poverty, immigrants, etc. Thanks for a great article. I have been involved in settlement house programs for a number of years beginning in the 1960 while in undergraduate school and then later during and after my MSW at Washington Univ. in St Louis Mo. Now late in life I find my self on a settlement house board of directors who is trying to re program an organization that lost its way. Do any of you have suggestions to update my knowledge of what kind of programs are operating in contemporary settlement houses. We are in Brownsville Texas at the Texas Mexico boarder. Dear Jack White: I am pleased to reply to your comment. I started to work in a Kansas City, Mo. neighborhood center in 1950 and received my MSW in Social Group Work from the Univ. of PA in 1956. While I have been retired for many years, I have created the SWH Project and it has helped me keep up to date on the history of settlement houses. In response to your question I have several suggestions: 1) the successor of the National Federation of Settlements & Neighborhood Centers is the “United Neighborhood Centers of America.” It recently merged with the Alliance; however, it would be a good place to start your search for help or resources. Another suggestion is to contact the United Neighborhood House of New York, or Northeaster PA. If you search for United Neighborhood Houses you will learn several areas of the US have such organizations. In my field of clinical social work we are so entrenched in the notion of individual pathology that it is next to impossible to find support for the idea that doing what we can to focus on the health of families and neighborhoods and the social and economic policies that effect them, is always a part of our work. And listening to the people we serve to better understand what they need! Thank you for reminding me of why I got into social work in the first place. I am attending school at the older than average student age of 46 for social work. I have read and enjoyed your writing on Settlement Houses. I think my plans for social work may have hung a sharp left. Thank you so much. John.. what year did you write the article ” The settlement House Movement”? Thanks. Raymond Sims.